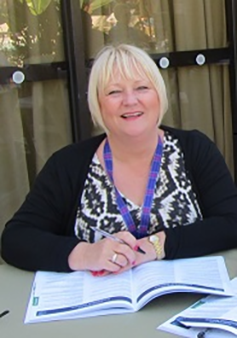 I lead the specialist-commissioned cleft regional nursing service providing input for infants born with cleft lip and/or palate across 17 maternity units within a hundred mile radius of the hub centre at QMC. The role includes providing internal and external consultancy across the network at local, regional, national and strategic levels, providing leadership, expert clinical practice and research to facilitate a national lead model for cleft services. I am a clinical academic, with a special interest in the care and management of infants with Pierre Robin Sequence and qualitative health research exploring parent experiences of care. My passion is providing family-centred care and delivering evidence based health care. The findings of my doctoral study exploring parents’ experiences of caring for infants with Pierre Robin Sequence have resulted in national nursing standards to support and improve care for parents, infants and their families. In addition the findings have facilitated a joint application with the University of Nottingham for a research grant to develop a downloadable resource for parents following the diagnosis. As President Elect of the Craniofacial Society of Great Britain and Ireland, I can confirm that the Nottingham Event Team has been supportive with organising The Annual Scientific Conference in Nottingham. I agreed to become an Ambassador because I wanted to be instrumental in supporting Nottingham as a destination for holding a conference. Nottingham is perfect if you’re looking for a conference venue, there are over seventy venues that provide excellent facilities. Nottingham is easily reached by air, train and car. In addition, the city and surrounding countryside provide activities suitable for the whole family.